Starting At $289.00 + Free Shipping! 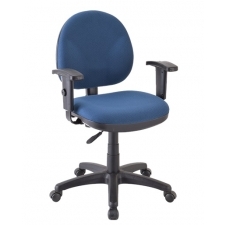 If you don’t want to settle for anything less than the truly best synergy of quality, comfort, and functionality, then the Eurotech Aviator Fabric Computer Task Chair is perfect for you and your office. 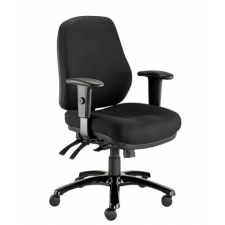 Tension control and lumbar support are just a couple of reasons why this chair makes a sound investment. Perhaps most impressive, as you will find, is the synchronized tilt-lock mechanism that can lock into three different positions. The curved styling is accentuated by adjustable armrests. This chair will readily complete any office.